We stock a great selection of Christmas trees including pot grown trees ranging from 1 foot to 5 feet as well as Nordmann fir cut trees (low needle drop) and traditional Norway spruce cut trees up to 15 feet tall. 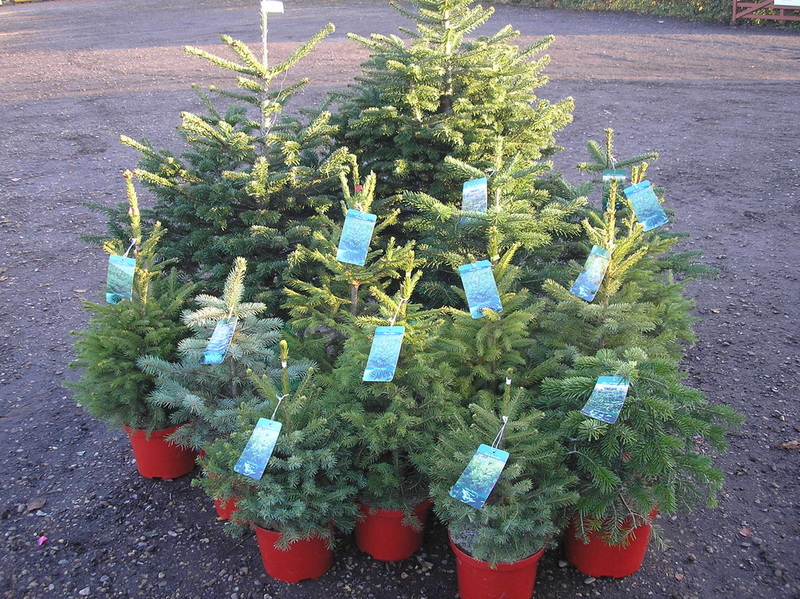 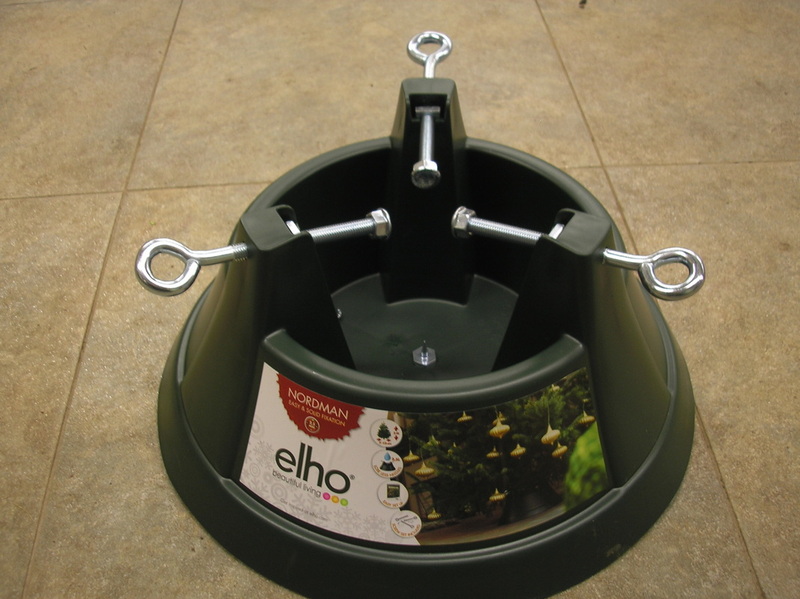 There are some very simple to use Christmas trees stands that effectively hold trees up to 8 feet tall indoors with a water reservoir to help keep your tree fresh over the Christmas period. 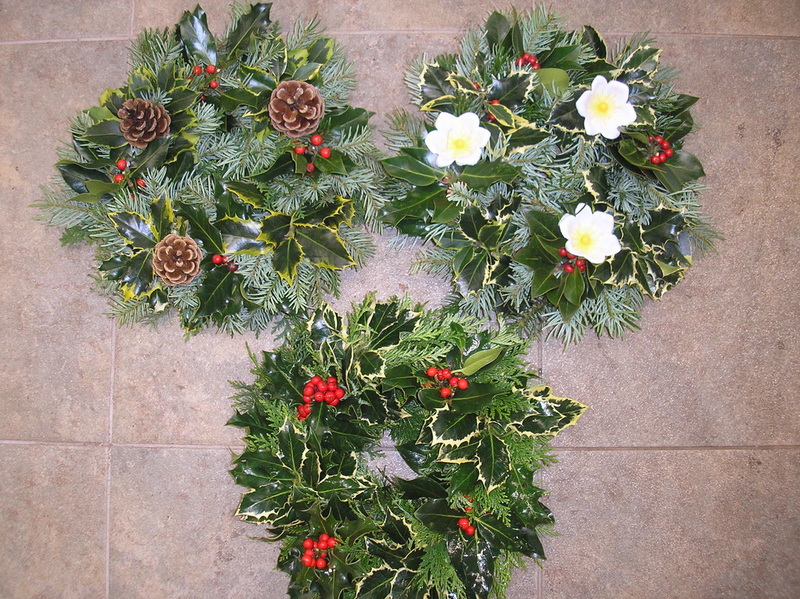 We make hundreds of holly wreaths every year, available from mid-November onwards. 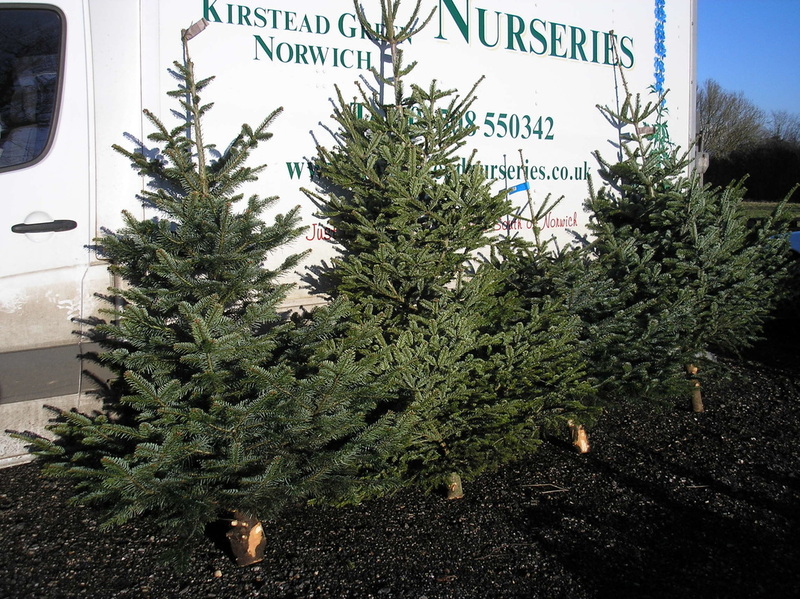 Although we do our very best to have these available as ‘Off the peg’ to pick up when you come in, we do highly recommend pre ordering these to ensure that you can collect your exact requirements fresh on the day you would like them. 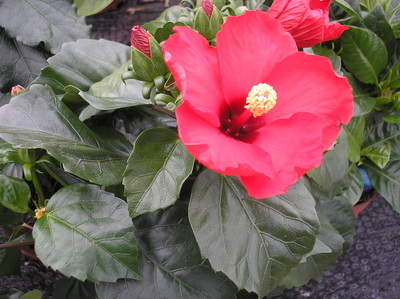 We make these as either natural foliage and berry wreaths or with optional decorative flowers. 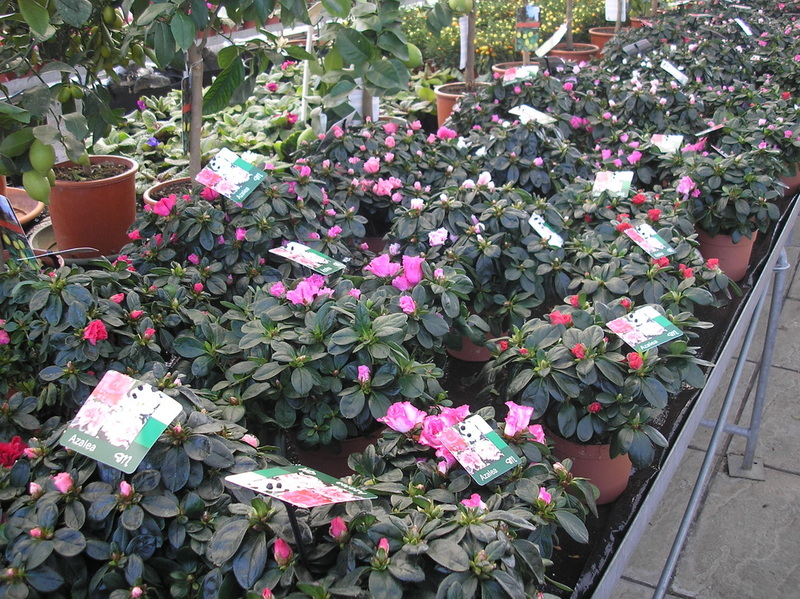 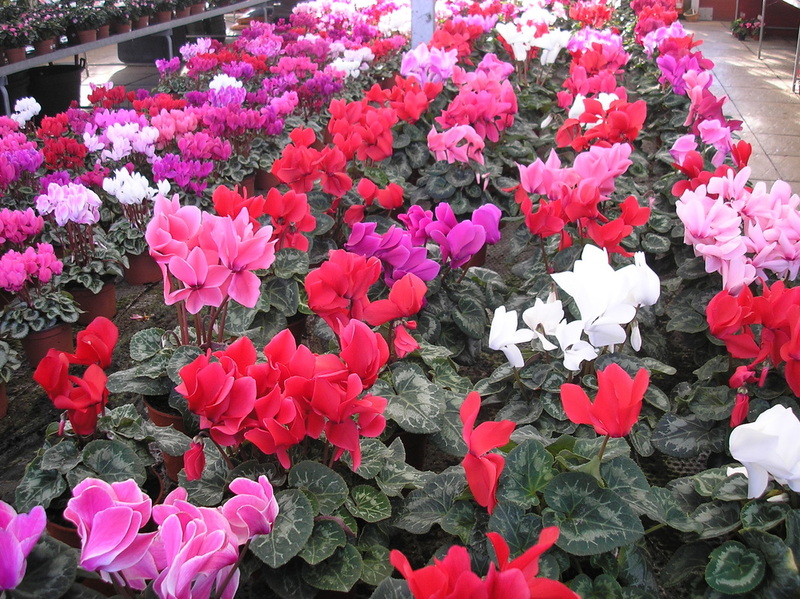 Choose from thousands of our own home-grown cyclamen. 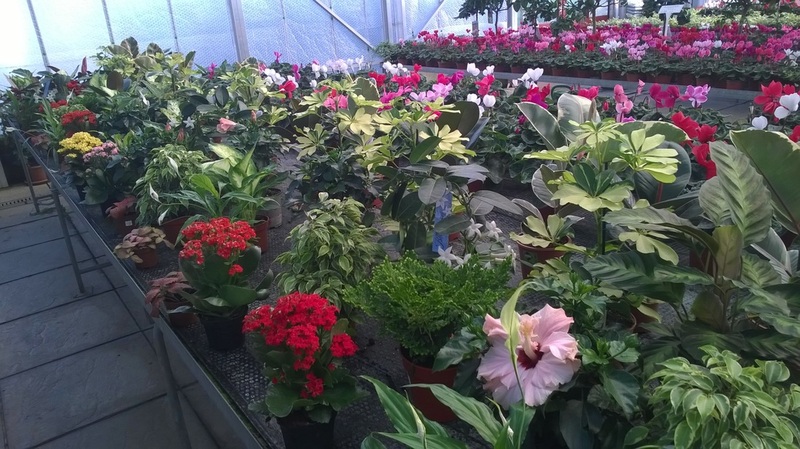 Indoor mini and large cyclamen as well as our 'Mini Winter' outdoor cyclamen give a real splash of colour. 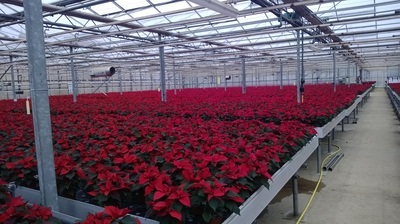 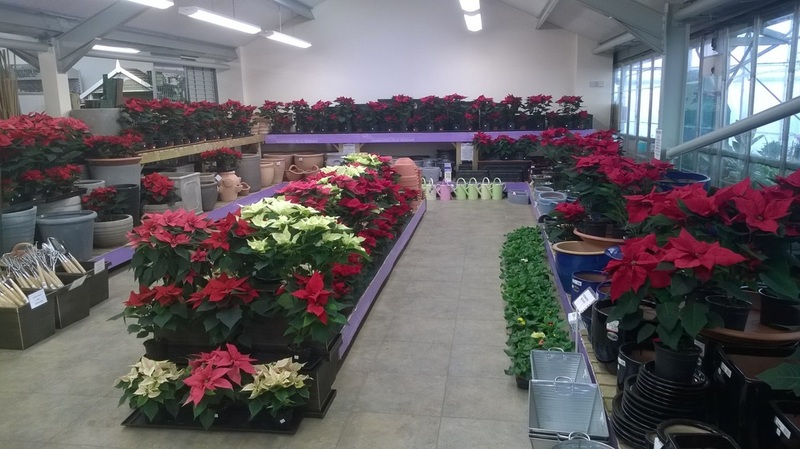 Top quality eye catching vivid British grown Poinsettia. 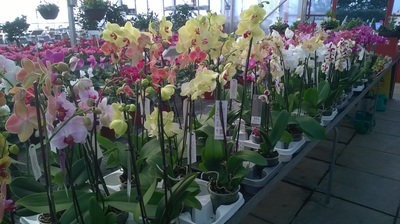 We collect these on our own transport directly from the growers to ensure a premium quality plant in perfect condition. We always sleeve these before customers take them to help keep them this way for you to enjoy a long season from them. 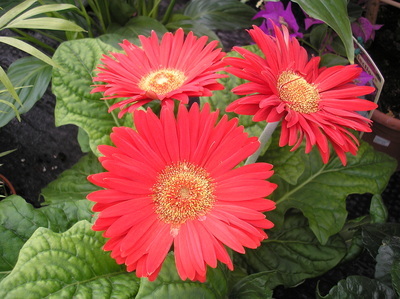 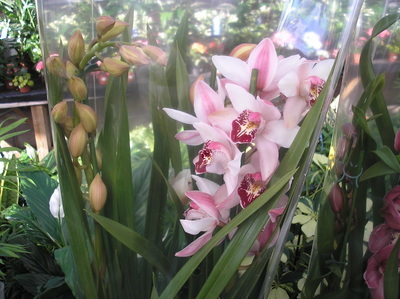 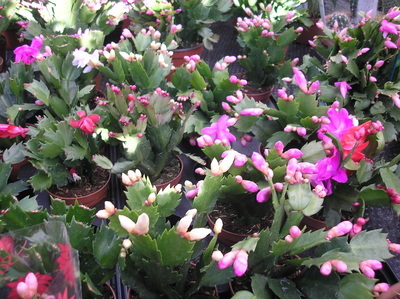 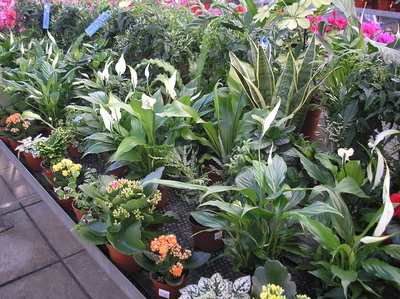 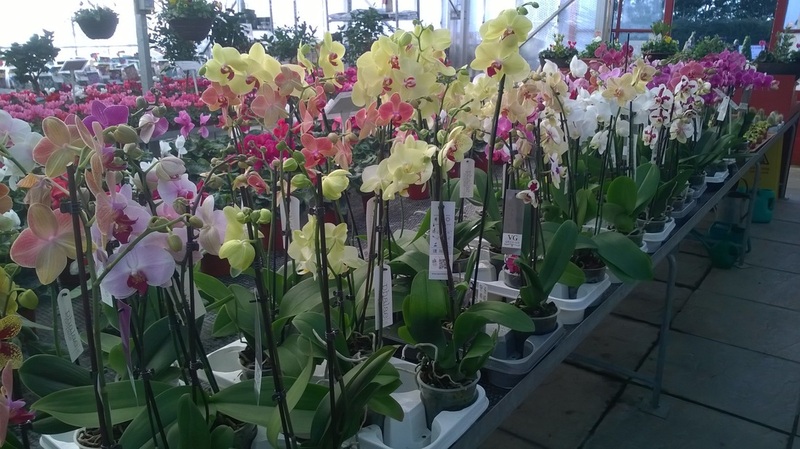 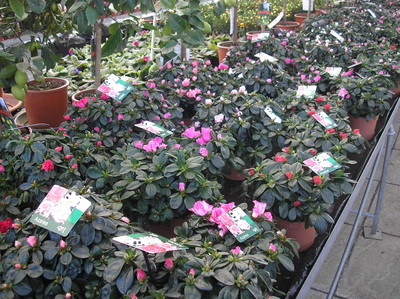 Around Christmas time and into the new year there is always a fantastic range of pot plants such as Azaleas, Gardenia, Jasmine, Kalanchoe, Saintpaulia, Stephanotis, Schlumbergera etc., Beautiful scented indoor hyacinths, A mouth-watering orchid range to choose from as well as Citrus trees and much more.